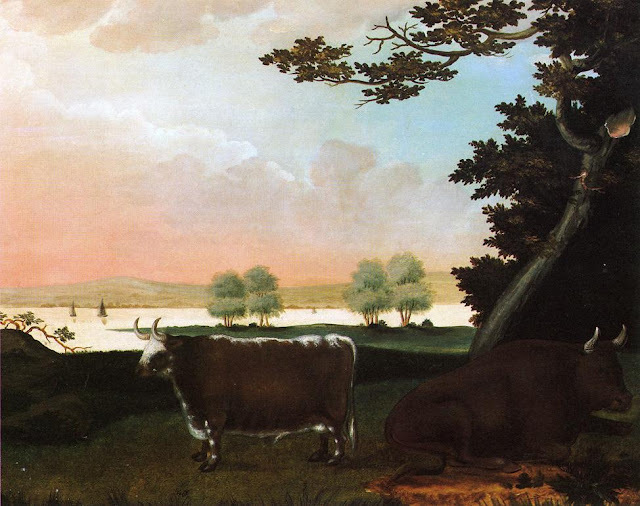 See parts 1-9 also for earlier works. For other works by Ammi Phillips and for biographical notes, see part 9 of the series. 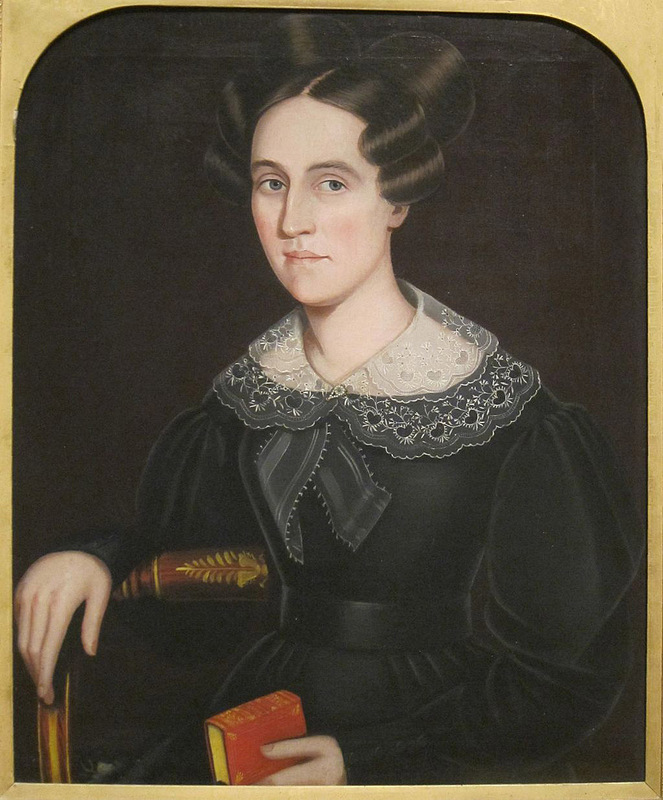 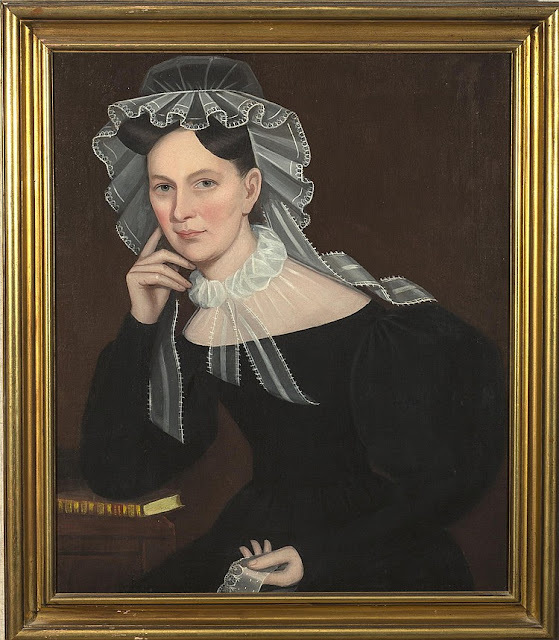 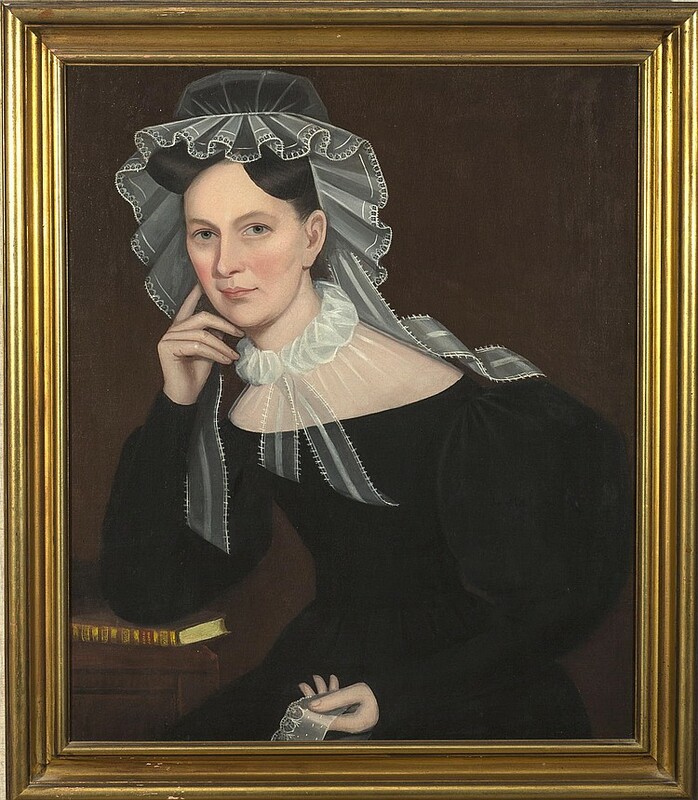 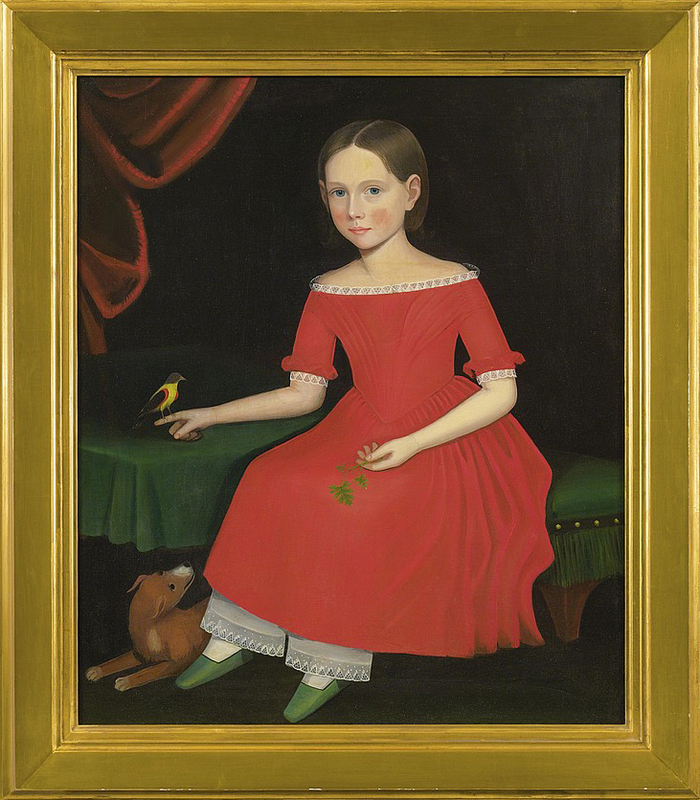 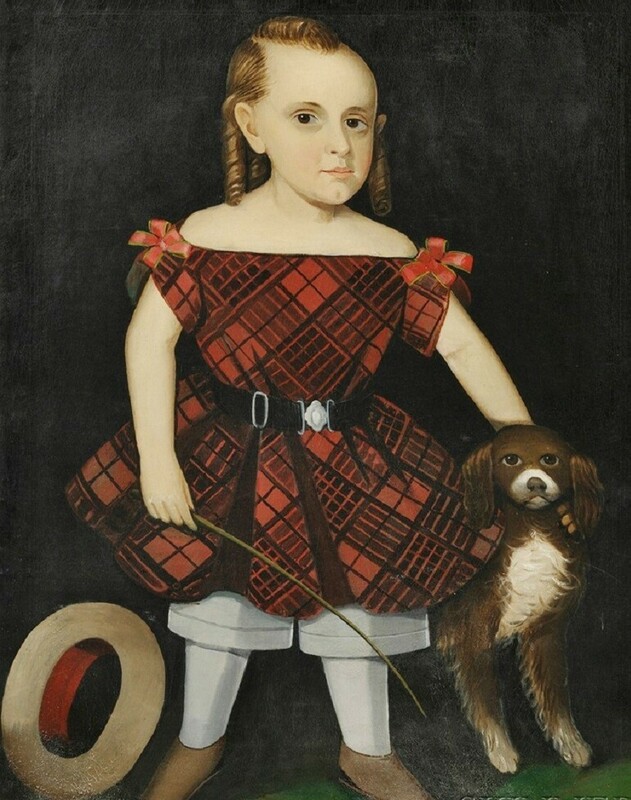 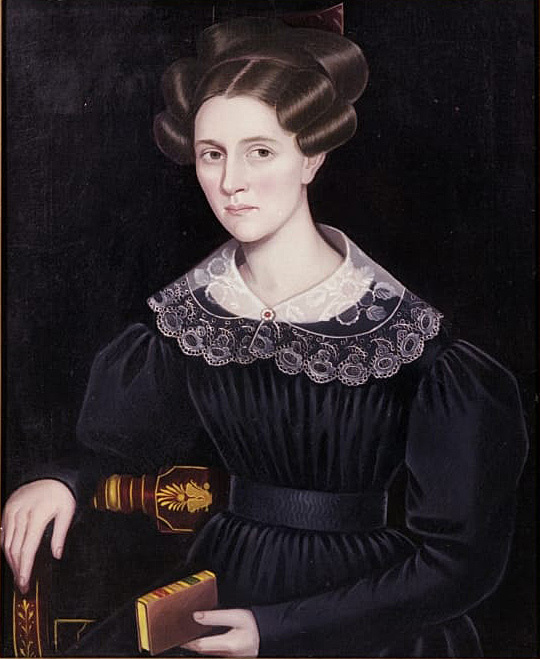 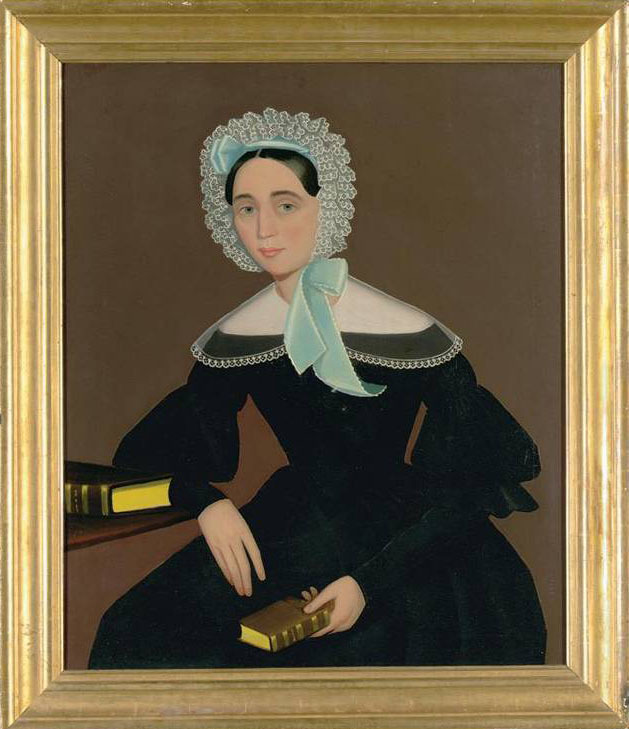 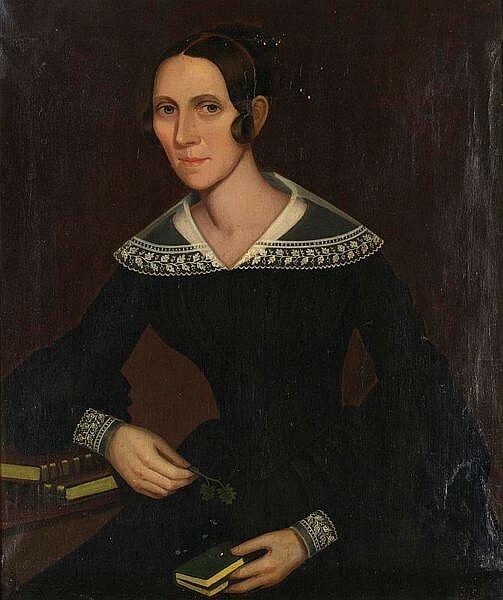 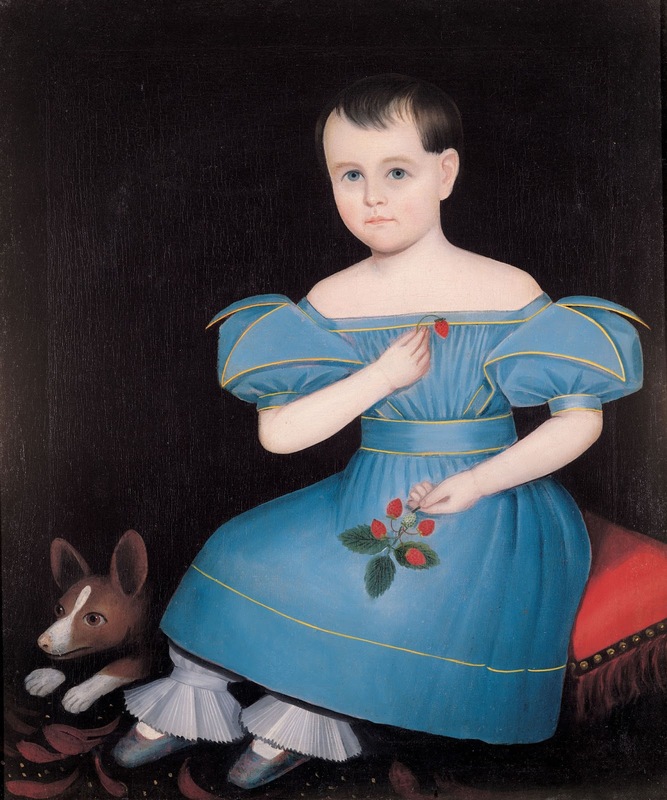 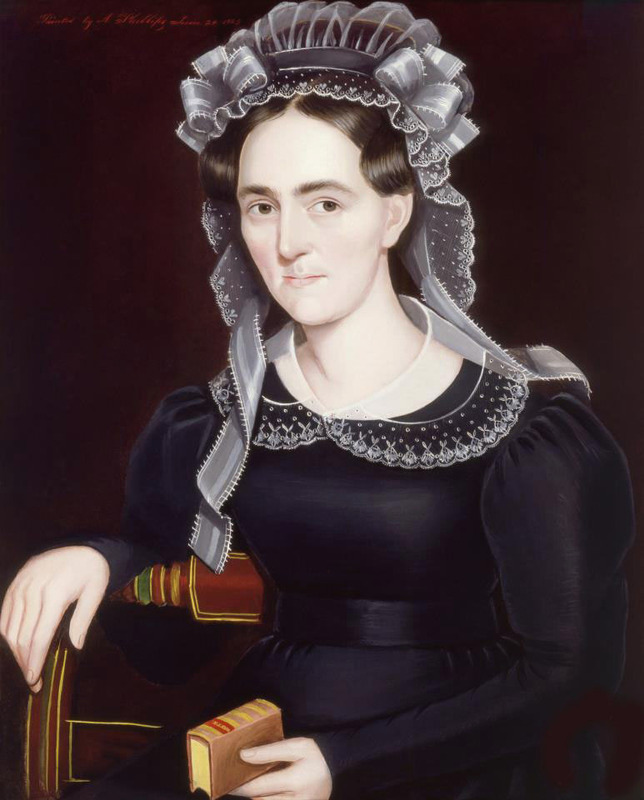 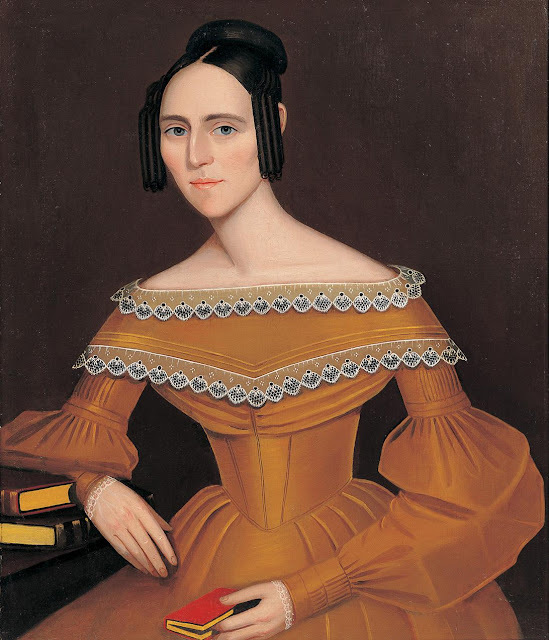 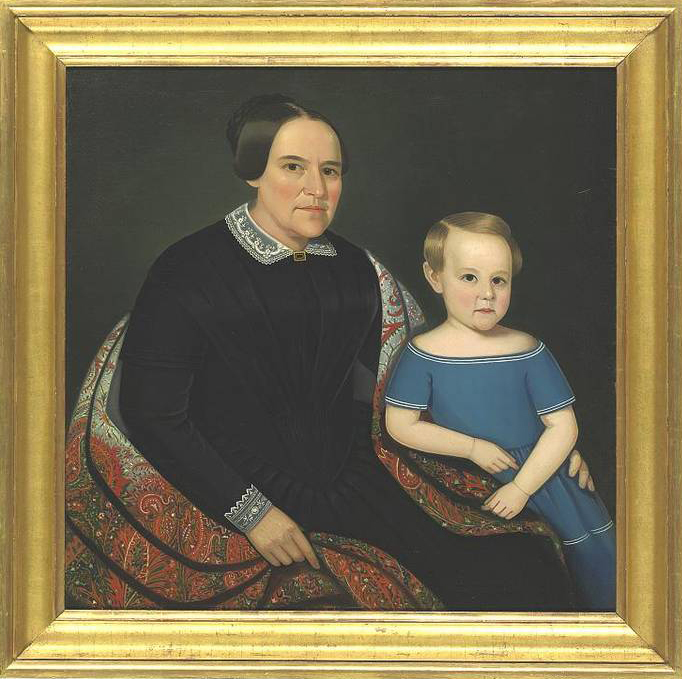 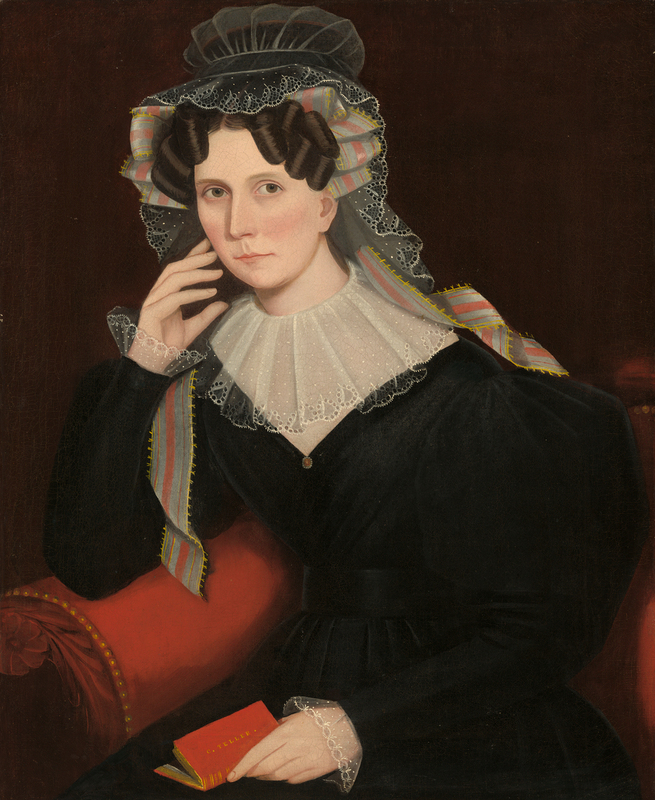 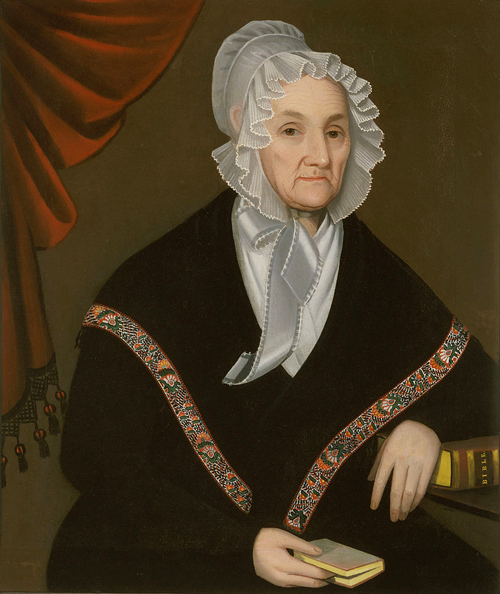 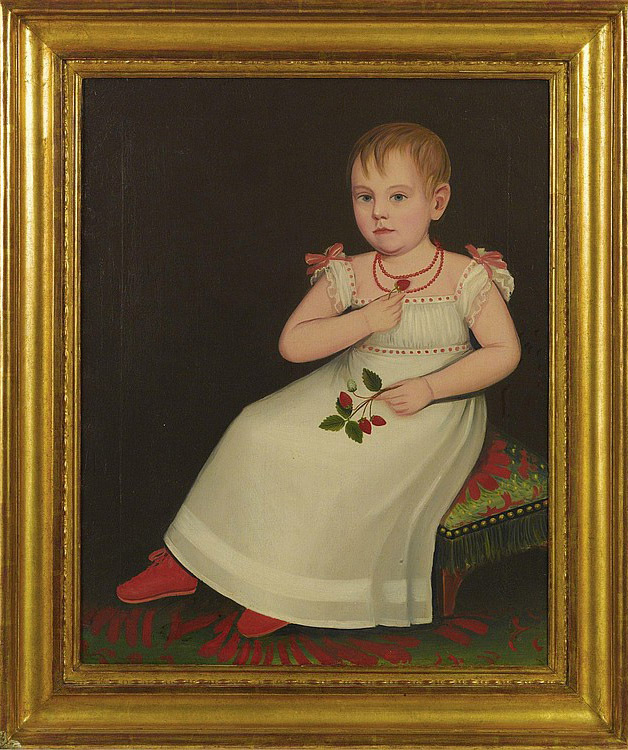 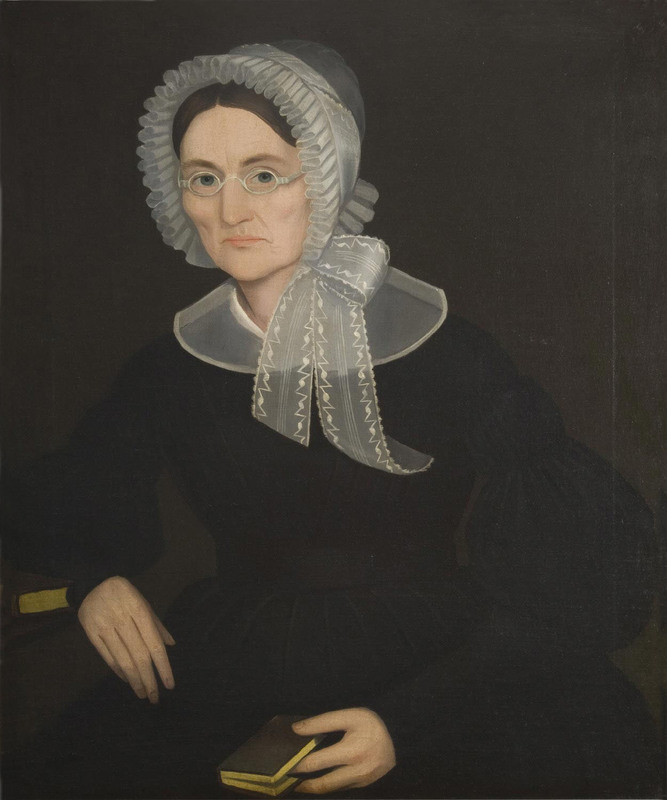 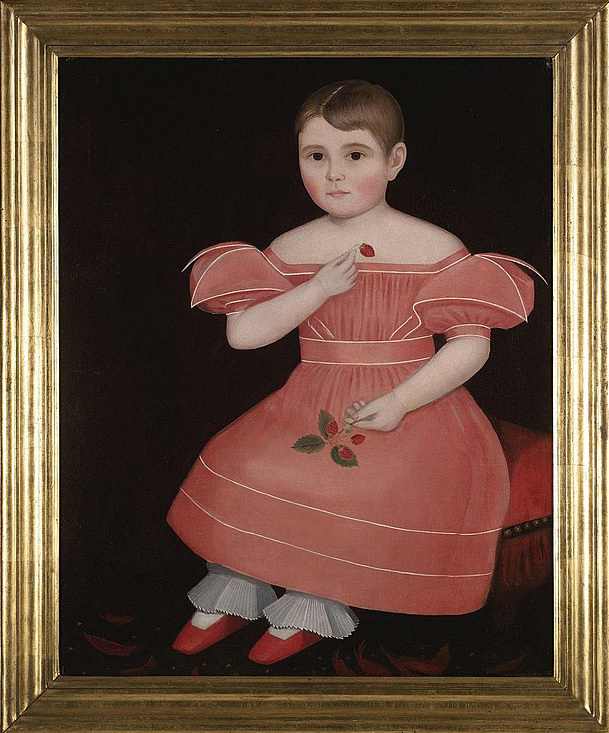 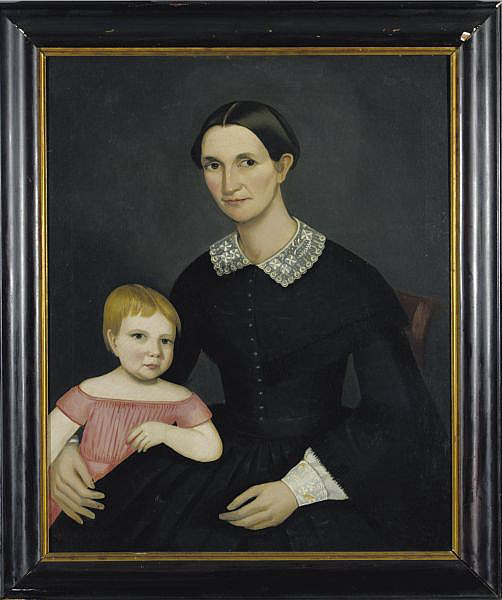 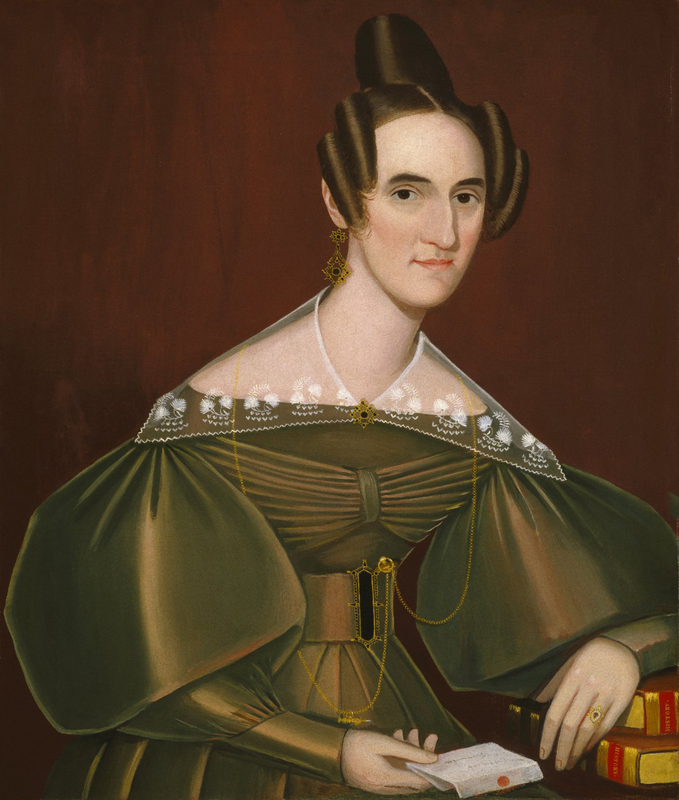 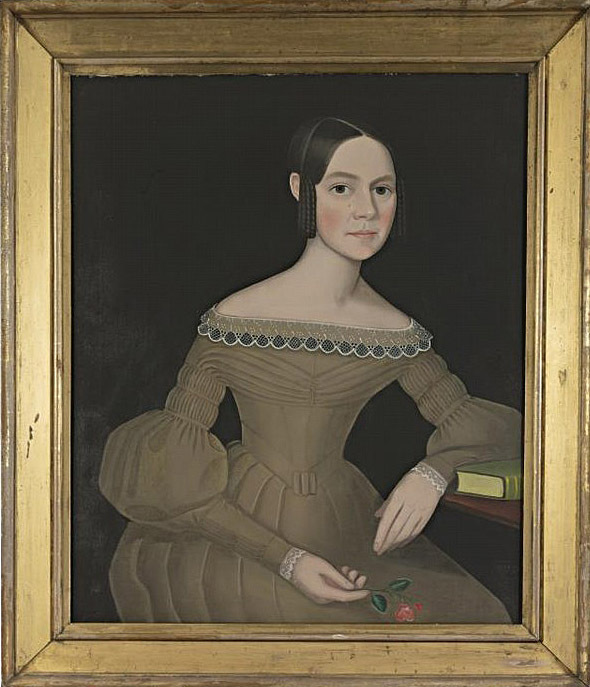 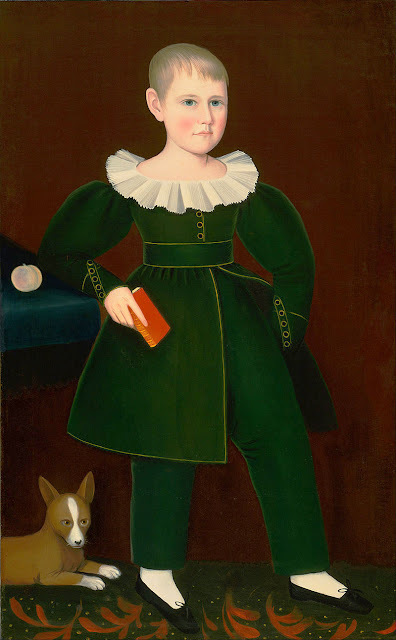 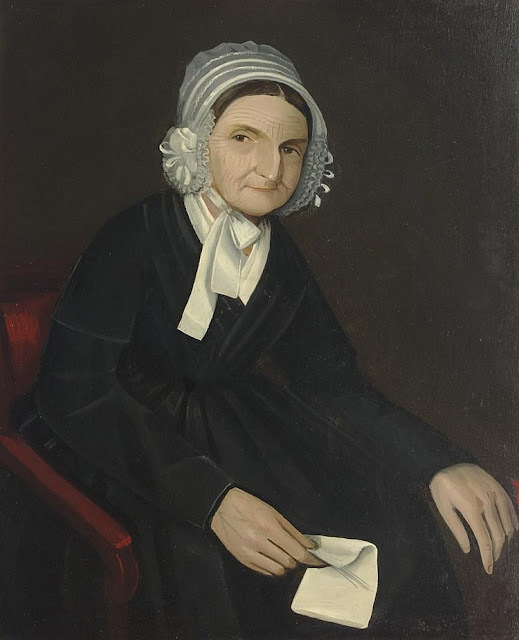 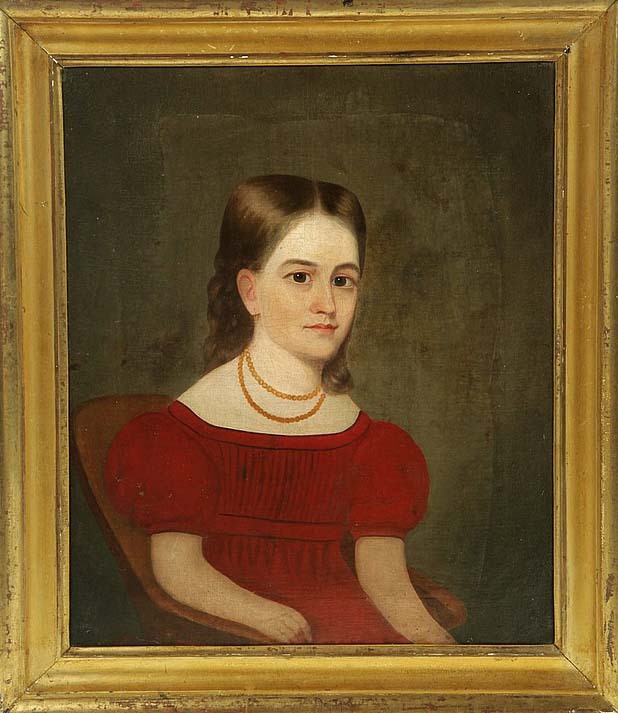 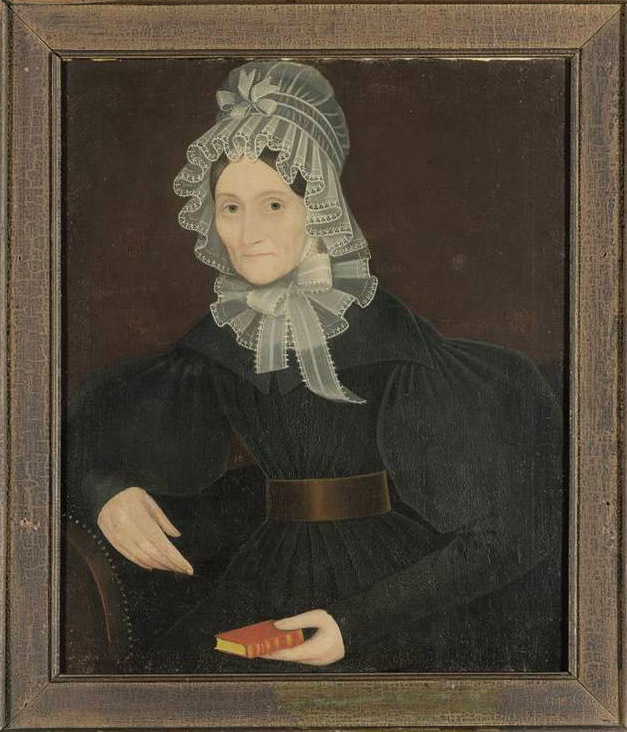 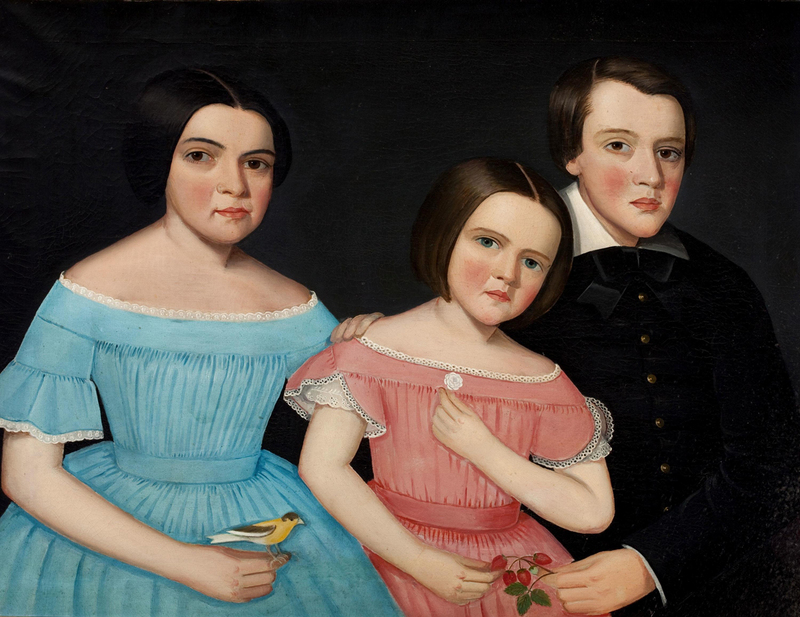 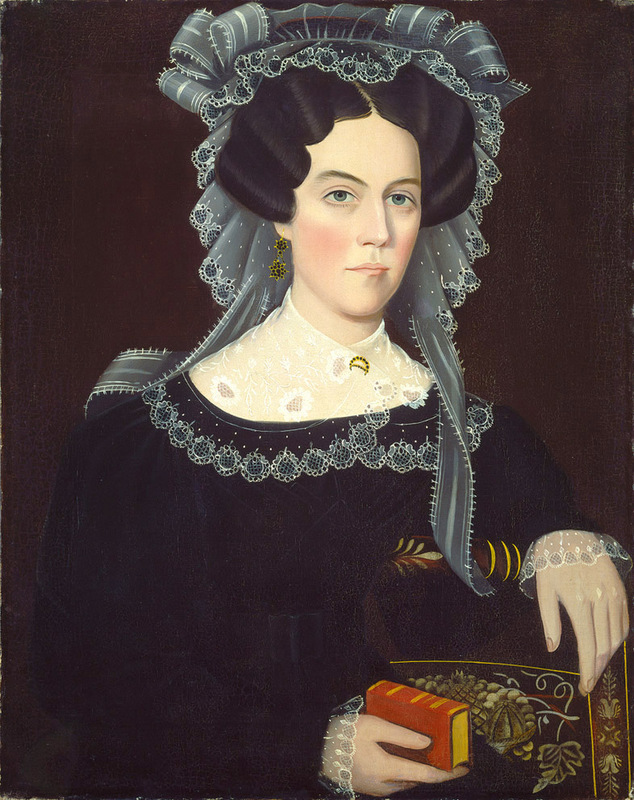 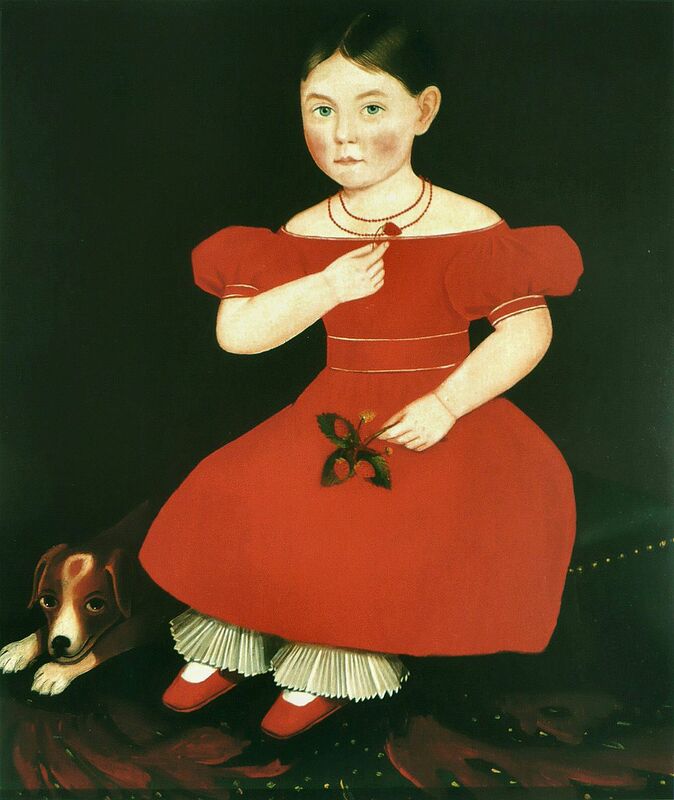 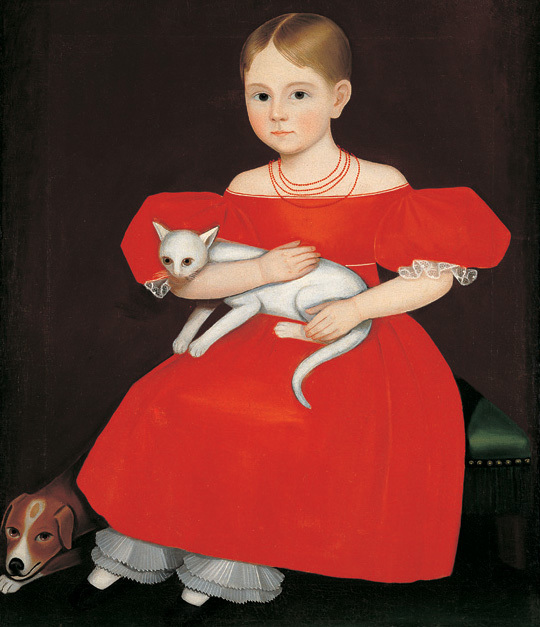 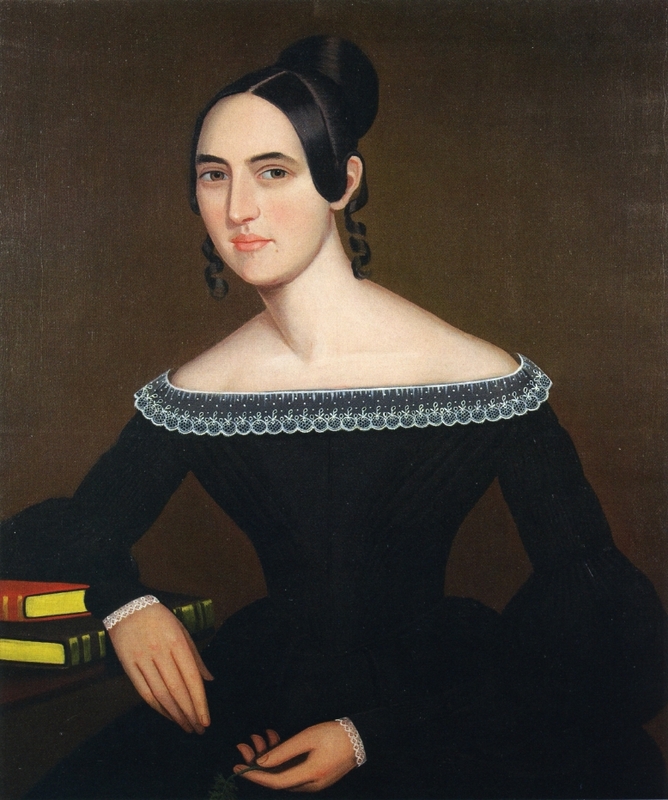 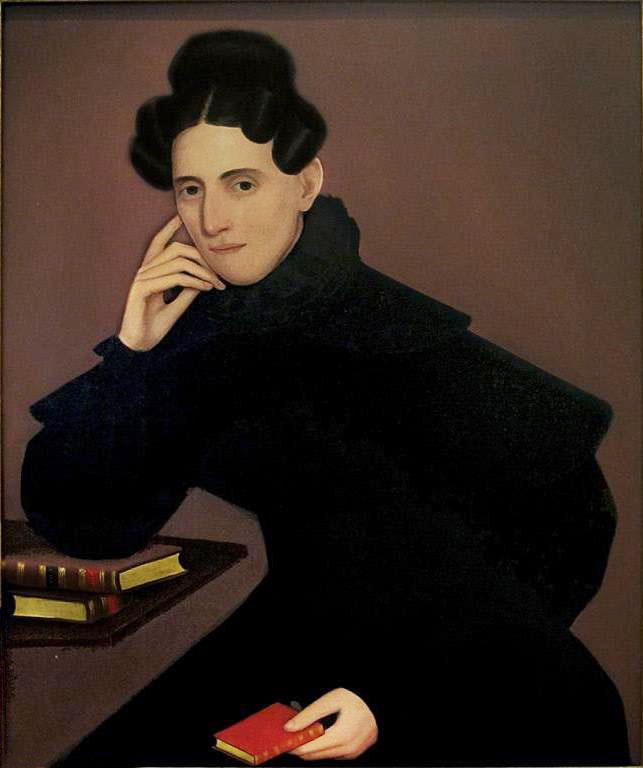 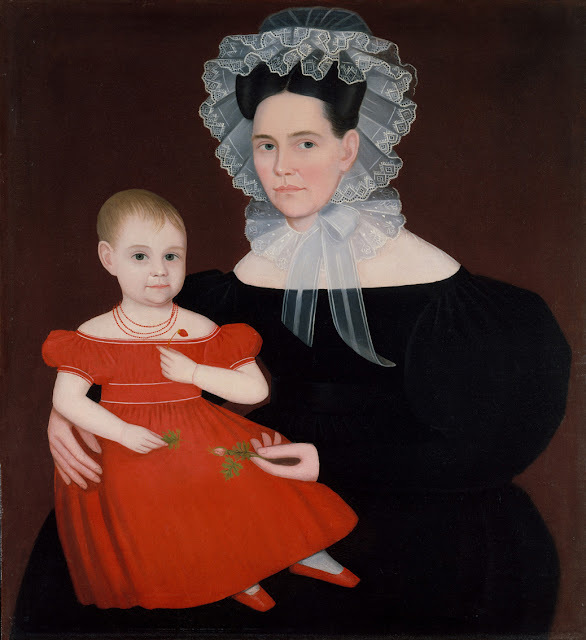 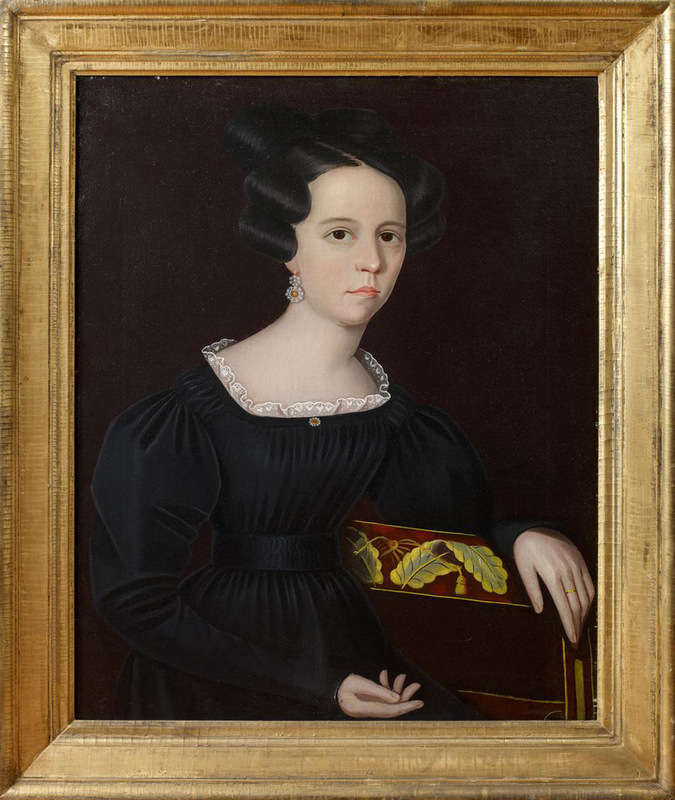 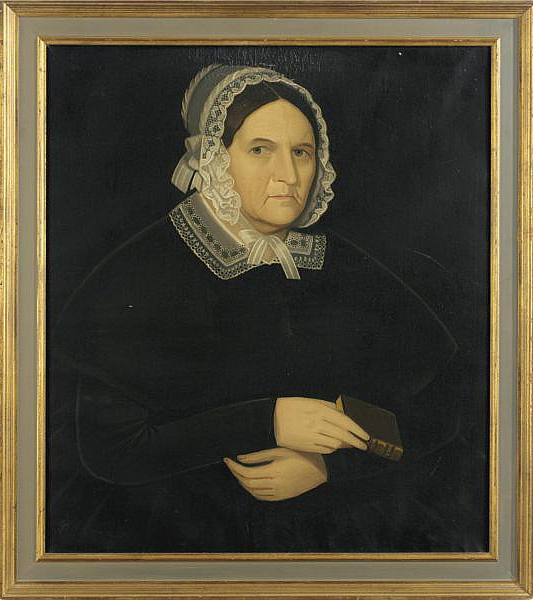 1830-35c (attributed to) Portrait of a Girl labelled "Caroline Dorr"
"wife of William Cantine DeWitt (1796-1871), a physician with a thriving practice in Saugerties." 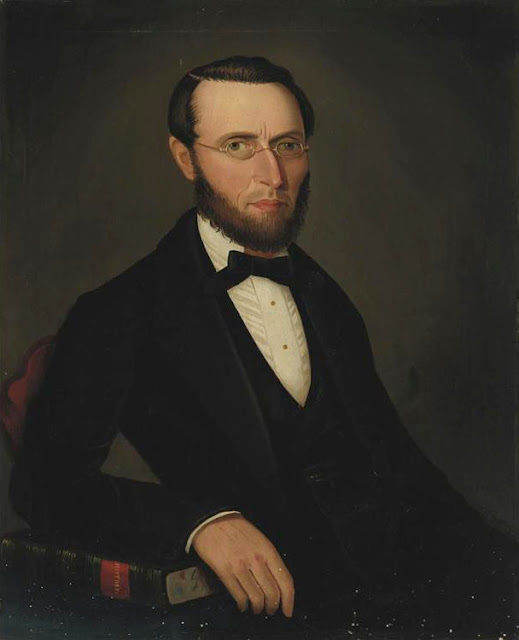 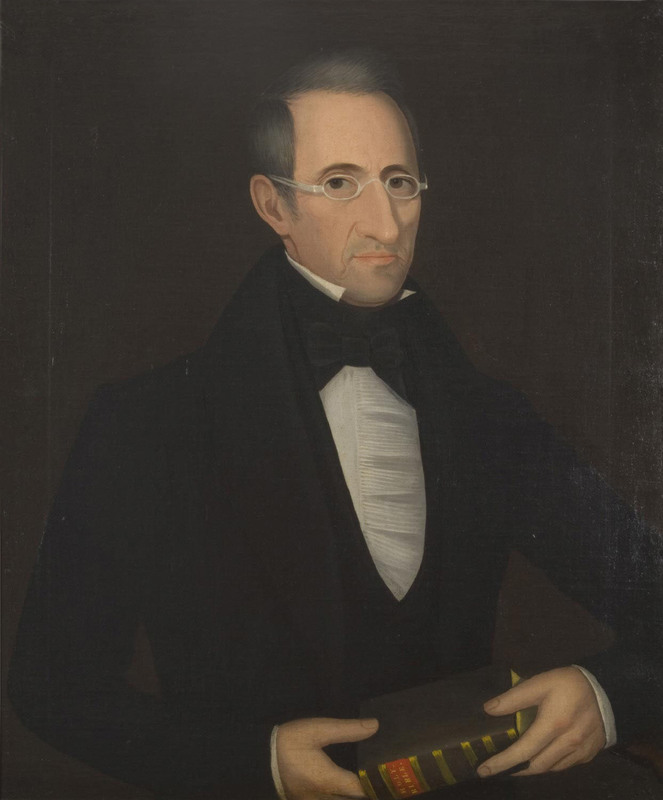 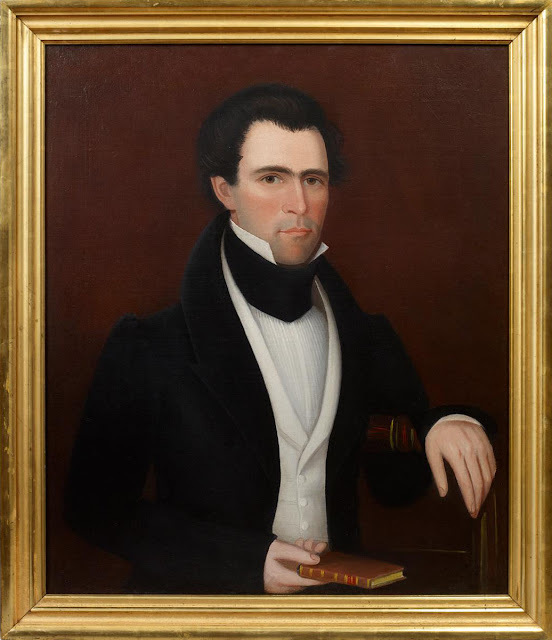 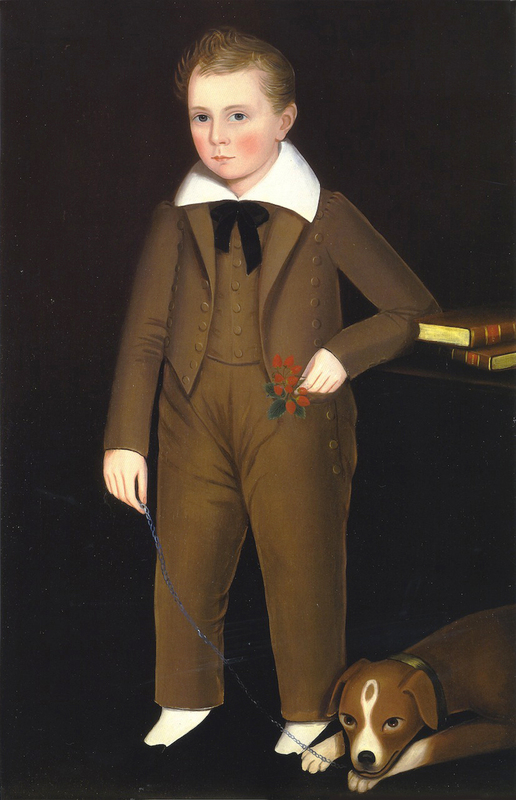 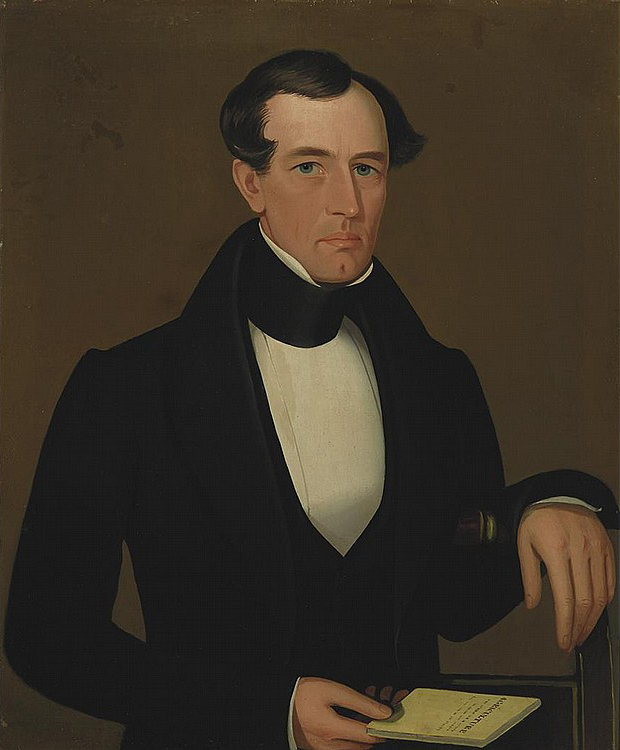 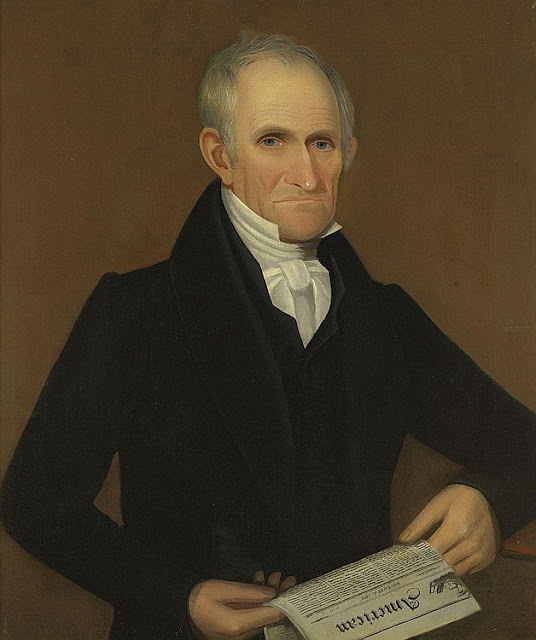 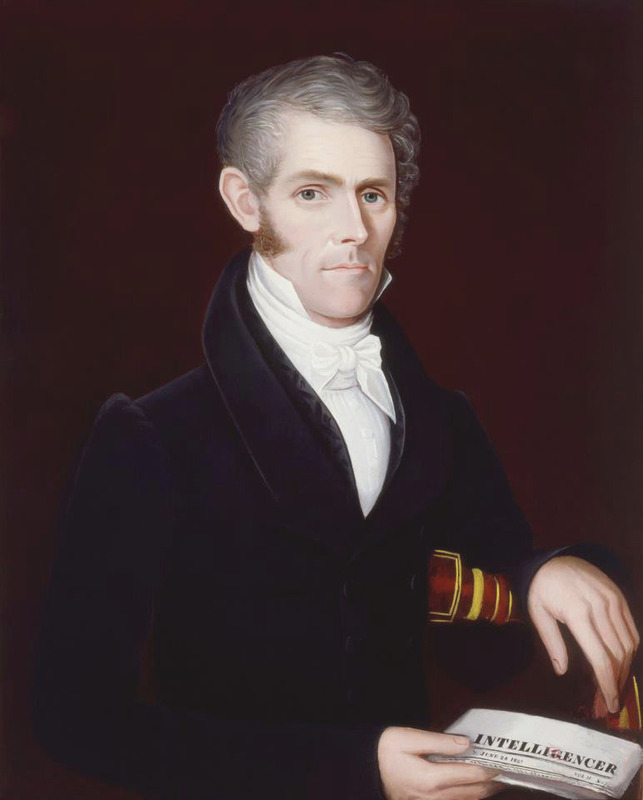 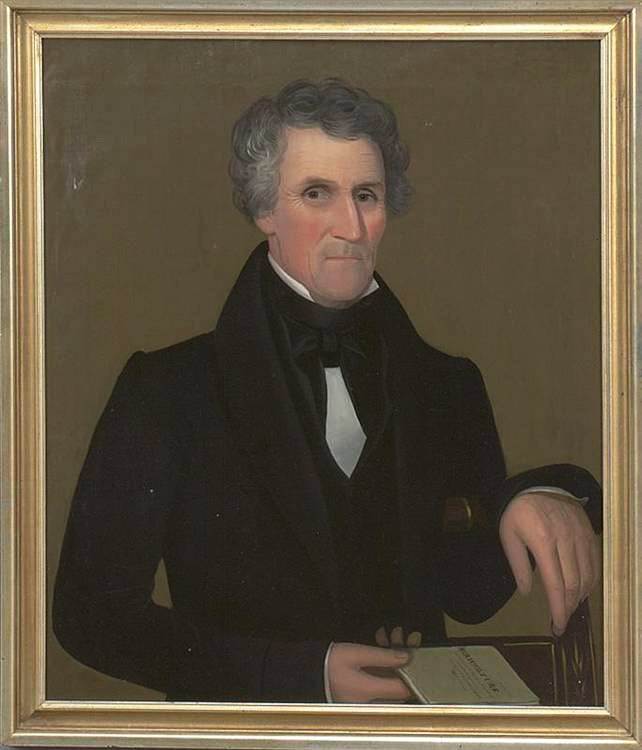 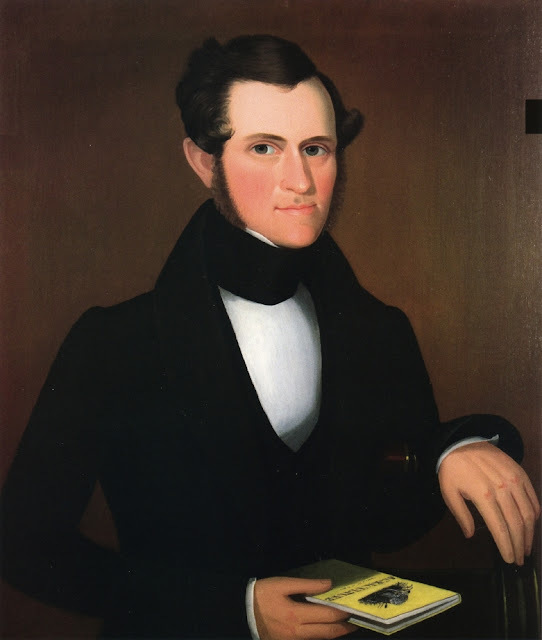 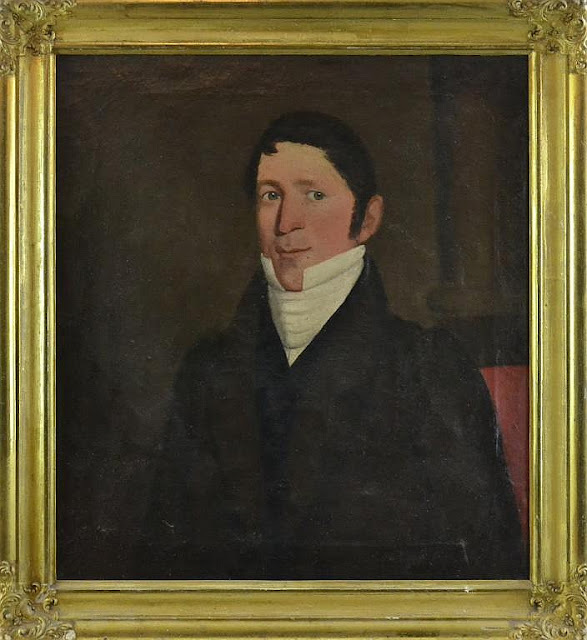 1830c Portrait of a Gentleman with a Pamphlet Entitiled "Agriculture"